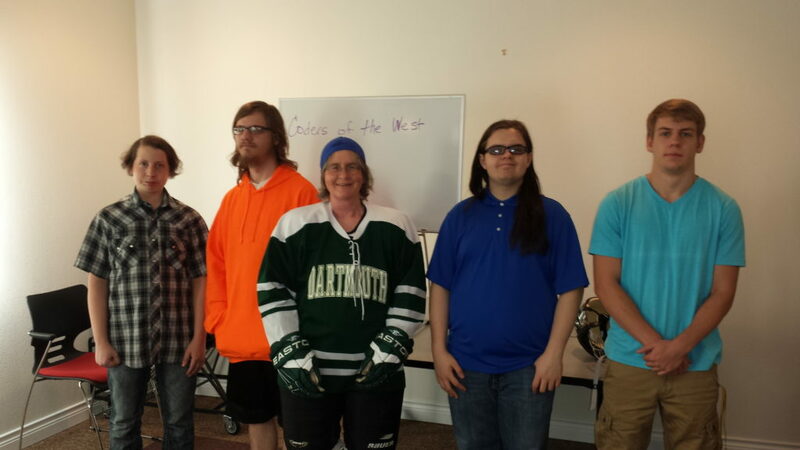 As a learning experience, Coders of the West was thoroughly project-oriented in approach, though we did rely to some extent on Codecademy and other tutorial materials, and rare “classroom moments.” In dividing project tasks, individual interests were taken into account, and talents nurtured. The Coders of the West Sheridan Team participants focused on administrator views such as this one for managing company data. It was kind of like the Breakfast Club, except that it happened at about dinner time, and instead of the jock, the nerd, the uptown girl, the misfit, and the rebel…it was the nerd, the nerd, the nerd, the nerd, the nerd, and the nerd. 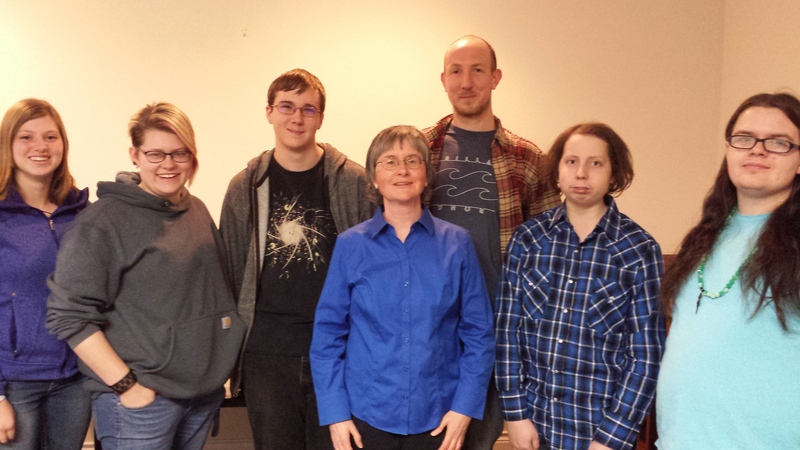 It was the Coders of the West internship program. Anne (owner of Sheridan Programmers Guild) and I (subordinate/henchman) were fortunate to have the chance to work with the State of Wyoming, Gannett Peak Technical Services of Cheyenne (GTPS), Sheridan College (SC), and Sheridan High School (SHS) to allow high school and college students in Sheridan County to have access to this hands-on software development opportunity. I count myself fortunate to have worked with each of our interns. I can also, confidently, express thanks on their behalf that they had the experience. 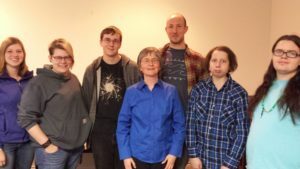 Sheridan Programmers Guild has partnered with Gannett Peak Technical Services of Cheyenne to enable a team of interns based in Sheridan to participate in the Coders of the West internship program. Hello! Caden here again, with another update on the app we’ve been creating, the WDECE explorer. Since our last post, many additions have been created, coded and pushed to the app. These have expanded on its functionality greatly. One of the more notable of these changes is the ability to edit the display color scheme of the app, from a wide variety of possible options. Some of these include a “Business” color scheme, and several others. Here are some examples: the Default, the Violy, and the WyoPride one. My name is Tyler DeFeyter and I am a freshman at Sheridan Community College in the Computer Science program as well as a member of the Coders of the West program. 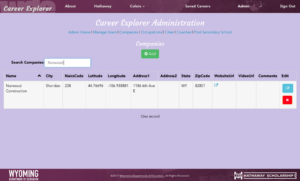 The main project we are working on is the WDECE Career Explorer, which is a program designed to help high school students map out potential careers that they are interested in. Hello! My name is Caden Masters, and I am a programming intern for Gannett Peak Technical Services, as part of the Coders of the West initiative in the state of Wyoming! Our project is about fostering coding, programming and technical skills among up and coming Wyoming students who want to succeed in the 21st century coding world. I was brought into this program through a two-week coding “bootcamp” program promoted and advertised at my school, and I was later recruited into an internship as part of this. I, myself, have been assigned primarily to collecting data for projects we’ve done, such as the bus routes on a route app we created. As well, in the later days of the project, I worked a lot on some code created to help parse data on companies I located while looking for places with employment possibility in Wyoming, using python to search documents with our information in it. As of late, I’ve been creating tools to sample information for a project based on education and employment in Wyoming, and this tool has been a unique project and experience for our team to work on to create content for. The project is focused on employment and corporations in this state, showing information about possible careers in it, from Kennon Aircraft Covers to Steady Stream Hydrology. The aim of this project is to help individuals in Wyoming obtain career guidance on any kind of employment they wish to. We are currently using a unique API designed by the state of Wyoming that stored previously-gathered information on the corporations in Wyoming. 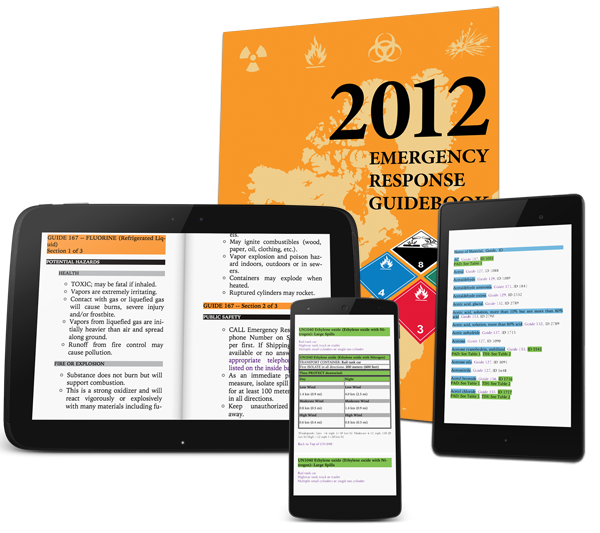 With the release of the Emergency Response Guidebook 2016, the National Institutes of Health has released a free ERG 2016 app for Android and iOS. We have reviewed the new NIH app and found the app comprehensive, well-made, and fully featured. With previous versions of the NIH app, based on the ERG 2012 content, we felt there were some presentation and search features that our app did better. But the new 2016 NIH app exceeds our own in both features and content. For example, the NIH app now includes the ability to map isolation distances from your current location using street or satellite views. In light of this, DOT Placards and DOT Placards Plus will be discontinued and removed from Google Play around the end of 2016. We greatly appreciate all our users and their support that has made DOT Placards our most popular app with over 50,000 installs. Thank you! Please direct any inquiries to support@sherprog.com, however do note that regular support services for these products are also discontinued and you are encouraged to download the NIH app for up-to-date data. We encourage you to contact us if you are interested in the technologies behind adapting complex publications such as the ERG into app and ebook forms. 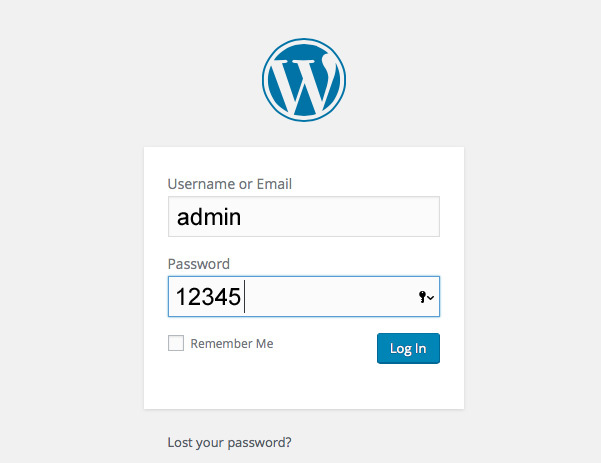 Here’s a compilation of some of our best practices for WordPress security. These are good measures you can take as an average user without either coding expertise or server administration experience. We believe they drastically decrease the odds of a Wordpress site getting hacked, and we’ve been able to observe them effectively protecting our own websites and some of our customers’. You’ll see me recommend the free plugin All-in-One WordPress Security several times in this post. In addition to many, many things this plugin can do, All-in-One WordPress Security makes all of the following suggestions very easy. I personally don’t turn on all of its features, because there are a lot, and some cover the same bases as other features, but in addition to using its login lockdown, database prefix, and failed login records features, it can help with everything below. However, this plugin is not at all required for any of these suggestions, and much of what it does is above and beyond these top-five suggestions. I’m working on transforming html files containing full Shakespeare plays, cleaning up the tags and adding some semantic content we need to have for a customer project. I’ve been prototyping with the nice Perl-based regular expression in good old UltraEdit, my editor-of-choice for a long time now. But I just blew my poor editor’s mind and got one of the better error messages. 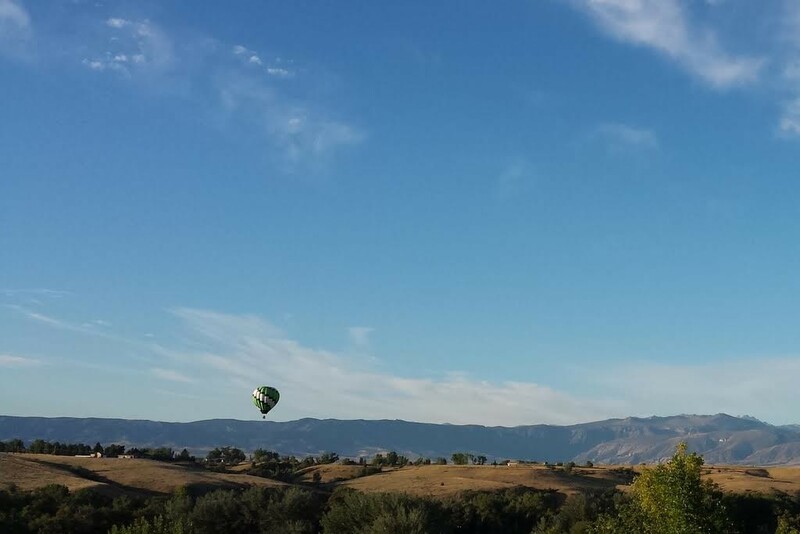 Back when we lived in Vermont, hot air balloons flying over the house and even landing in our field, were a fairly regular event for us due to our proximity to the tiny Post Mills airport. But they are rare here in Sheridan, or have been. I’ve heard this guy outside the house a few times lately and caught a glimpse or two. But Labor Day morning, we had a good view as it floated in low and slow to a landing across the gulch from us. The wind was so strong the last time I rode my bike to work that I came down the hill on the Holly Ponds pathway, which is the most sheltered of my options. 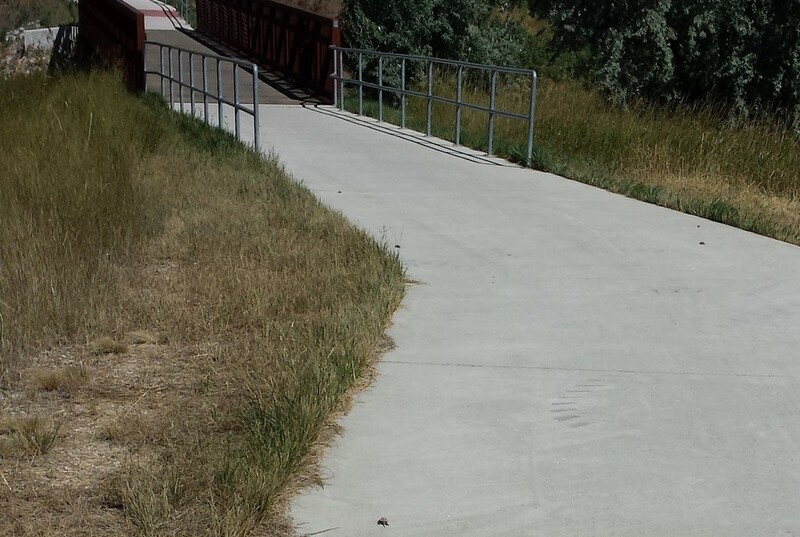 As I came across the bridge right behind the hospital, I dodged a decent-sized pebble on the pathway, then another. Then I realized the pebbles were moving! 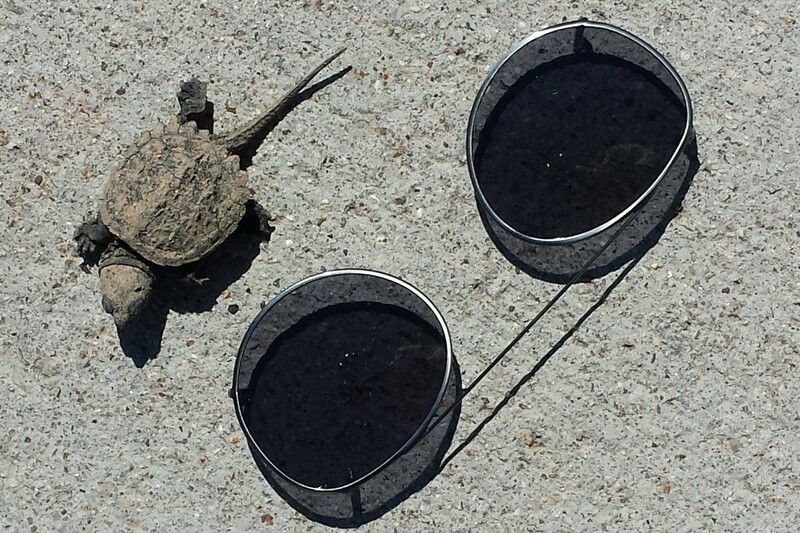 Baby turtles, snappers I think, were working their way down the pathway towards the ponds, making pretty good time on their stubby little legs. If you look carefully, you should be able to spot five of the six in the photo below. The closeup is of #6 who was trailing far behind the others and looking a bit weary.